Karizma, Seiji, Roska, Mystery, Hot city and more. FACT mix 75 comes from Bucharest’s TRG, and showcases his new Hitek House sound. 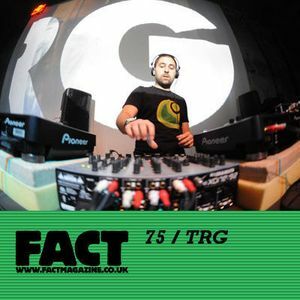 Cosmin Nicolae by name, you probably know TRG best for his dubstep productions on labels like Tempa, Hotflush and Hessle (his ‘Put You Down’ was the label’s first release, and Martyn’s remix on HES004 arguably their most well-known). But judging by his FACT mix, he’s currently pushing a housier sound: Karizma, Hot City, Roska and Cajmere feature alongside a host of new TRG productions, and tracks are mixed deep into each other. Plus it ends on ‘Trilingual Dance Sexperience’, which is such a jam it’s unreal.